Puppy Training is the cornerstone to the success of BC & Alberta Guide Dogs. Raising a pup is a volunteer job like no other. It requires dedication and commitment from the Puppy Trainer and an entire team of individuals to have the pup grow and mature into a working dog. The end result gives you a feeling of accomplishment and pride that no other job would. Puppy Trainers can be individuals, couples or families with school-age children. Some Puppy Trainers live in apartments, townhomes and single family homes. Our programs are offered in the GVRD, Victoria/Nanaimo and area and Calgary and surrounding areas. Our requirement is that the primary Puppy Trainer is available during the day for meetings and obedience classes. Teaching the puppy house manners is just as important as all other aspects of our program. 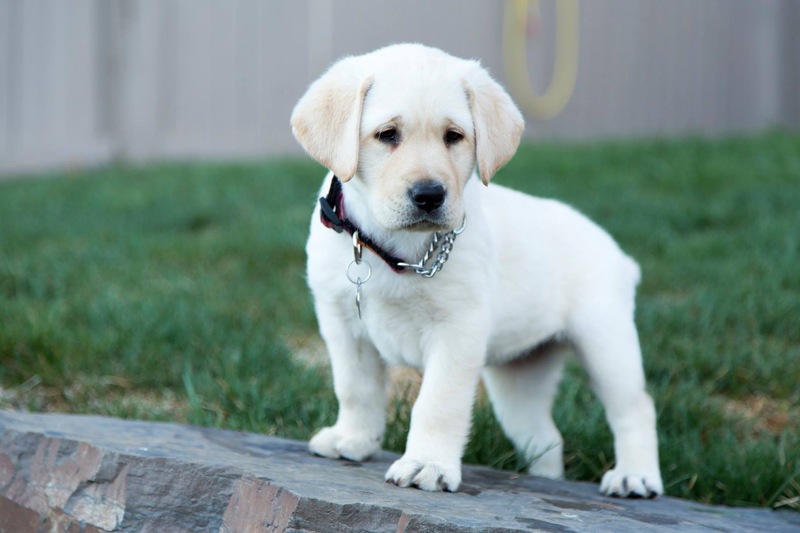 The puppy trainer will provide the foundation necessary to raise a dog that will change someone’s life. This journey will last until the dog is approximately 2 years old and will then be handed over to our professional Guide Dog Mobility Instructors for their advanced training. The end result of knowing that your pup will change the life of a visually impaired client or a child with autism makes the process all worthwhile. Do you have the time to provide adequate exercise and the commitment to teaching and praising appropriate behaviours throughout the day, everyday? Are you able to clear your schedule for the first 1-2 weeks in order to establish bonding and house training? Are you able to commit to the program for the 1.5 -2 year time frame? Will you take the pup out for socialization exposure 4-5 times a week? This requires special effort in the beginning when they are not fully vaccinated and cannot go where other dogs go. You can however take them to local coffee shops, restaurants, grocery stores etc. Are you willing to go through a heat cycle if you have a female dog to raise? Can you physically handle a large dog? Our dogs will reach a weight of 60-75 pounds. Do you have a schedule that allows for the puppy to never be left alone for more than a couple of hours on occasion? 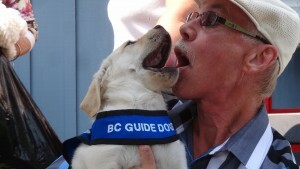 Are all members of the family willing to follow the guidelines of BC & Alberta Guide Dogs training protocols? Does your schedule allow for all meetings to occur during the day at scheduled times Mon-Fri? Do you have access to email and are committed to checking it regularly? This is how we communicate with our puppy trainers. Are you prepared for dog hair, cleaning up after the pup, wet noses, puppy kisses and all that goes with a puppy? Volunteers receive ongoing training and support from the Puppy Raising Supervisor, as well as our established network of existing volunteer Puppy Trainers. There are weekly obedience classes held until the pup is 4-5 months and then obedience will be bi-weekly. The Puppy Supervisor will arrange monthly meetings in different areas throughout the city to see how your dog is responding to various stimuli and situations. The Puppy Supervisor is there to help you with any problems you may be having. Both obedience and individual meetings are mandatory and failure to attend on a regular basis may result in rehoming of the pup. If you are interested in applying to become a Puppy Trainer you should contact the supervisor in your area as listed below. They will answer any questions that you may have and send you an online application for you to complete. It is generally suggested that you attend at least one obedience class and have a chance to talk with other Puppy Trainers about the time commitment and ups and downs of raising a pup. 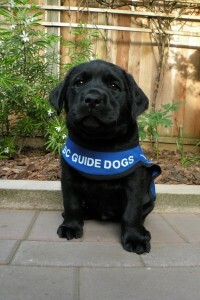 The Puppy Supervisor will go through the program with you in more detail and conduct a home interview. 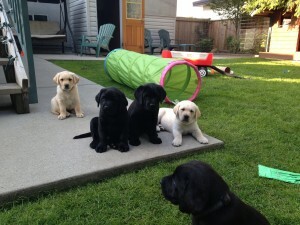 If you are accepted you will be put on our waiting list and your supervisor will inform you when a pup is available.